60 Day Money Back Guarantee is here! Who doesn't love a new car? 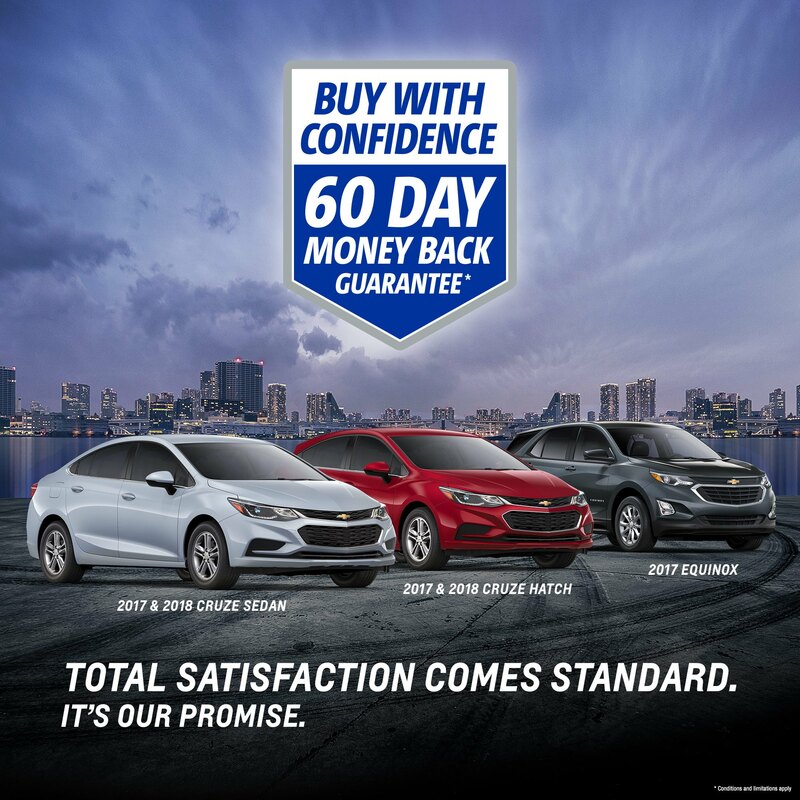 We are so confident you'll love your purchase of a new 2017/2018 Chevrolet Cruze, 2018 Chevrolet Equinox or 2017/2018 Buick Encore! If not you have a 60 Day Money Back Guarantee! Shop with confidence. It gets even better - the 60 Day Money Back has now been extended! 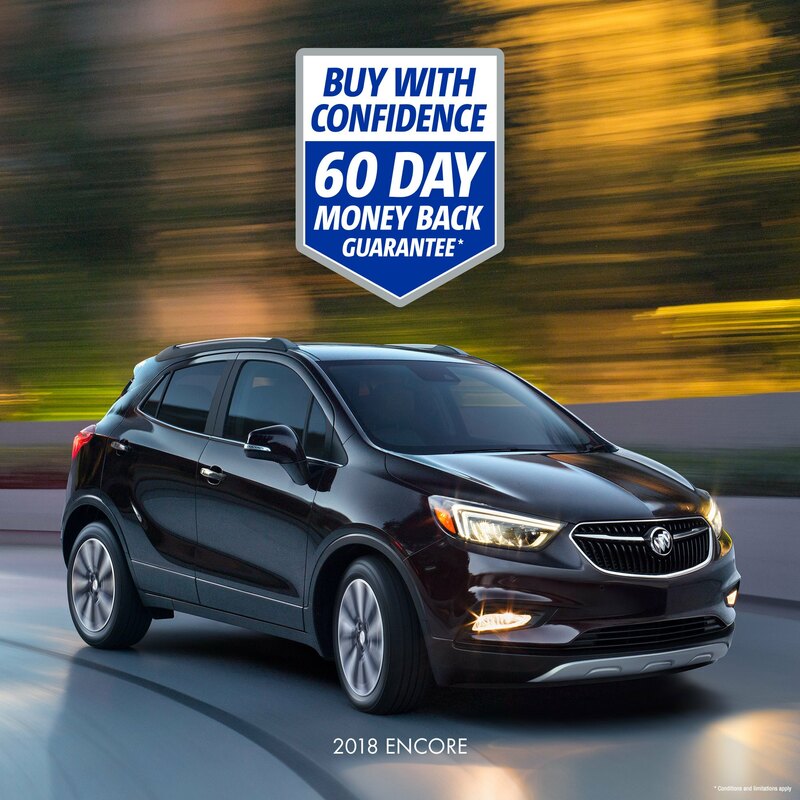 Click below to check out our inventory!